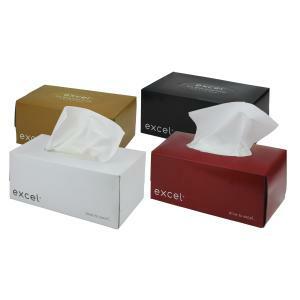 Excel facial tissues come in four modern designs. The designs are simple and can match any office décor. The colours of the tissue boxes come in light brown, black, red and white. The four designs are mixed in the carton of 32. The facial tissues are exceptionally soft. They are made in Australia and come from a sustainable source. Order x32 for a carton.